International Tickets are only available to bona fide club members and sponsors from Graeme Hall. 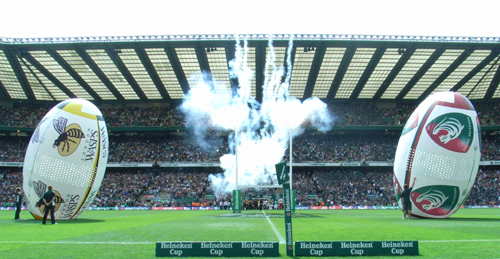 England will play two matches at Twickenham and one match at St James Park, Newcastle. directly at www.englandrugby.com and selecting Tickets on the menu. Graeme Hall, International Ticket Secretary. 1. To apply you must be a current paid up member and renew your membership by the 30th September 2018. 2. There is a club administration fee of £10 per ticket (£5 for Italy game). 3. Please indicate your preferred price but note that this cannot be guaranteed. 5. Members can apply for unlimited tickets for the Italy game and junior pricing (15 years and under) is available for this this game only at categories 2,3 and 4. 6. Demand is likely to be high for the other games and to manage expectations, if you are successful, you are unlikely to be allocated more than 2 tickets for one of these games. 7. You can apply for tickets for more than one of the games but please indicate your preference. 8. If you haven’t received an acknowledgement within 72 hours of your application please contact Graeme Hall. 9. Successful applications will be notified by the 10th October and payment will be required by the 30th October 2018.